As part of Vanderbilt’s commitment to a welcoming, inclusive community, Provost and Vice Chancellor for Academic Affairs Susan R. Wente has launched a planning phase for a new initiative on the status of women. The provost’s initiative will focus on issues facing the broad array of women faculty, students and postdoctoral trainees in the provost’s academic affairs areas. In a year that marks the 40th anniversary of the Margaret Cuninggim Women’s Center, the continued work on action items from the 2016 COACHE faculty satisfaction survey, as well as planning for a new student campus climate survey, this effort is especially timely. “Working with the schools and colleges, we have implemented several initiatives and practices that advance our shared values of inclusion and that raise awareness about the role our respective individual identities play in our interactions and our daily lives,” Wente said. “To move our community further forward, we must now fully assess the status of women faculty and students broadly. 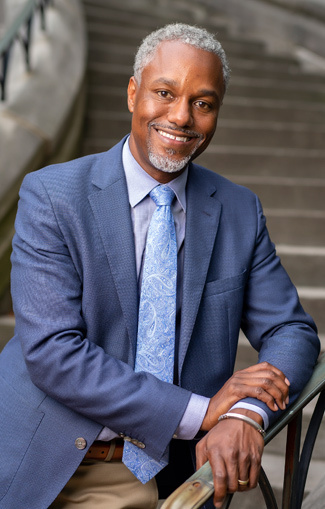 I will work closely with James E. Page Jr., the new vice chancellor for equity, diversity and inclusion, to identify areas of intersection between specific faculty and student efforts with his future planning for the support of our staff. Further, I know that Jeff Balser, dean of the School of Medicine and president and CEO of Vanderbilt University Medical Center, is also engaged with the clinical departments and School of Medicine students on these issues. Top universities, including Yale and MIT, have similar efforts. Yale’s Women’s Faculty Forum promotes gender equity at the university and every five years since 2002 has published The View, a report on the demographic data of women and men faculty. MIT has also published reports on the status of women faculty in science and engineering. Initiatives at Vanderbilt that are helping define the role that individual identities play in daily interactions range from the Center for Teaching guides for populations and contexts to adding an opportunity for students to designate their pronouns in the YES class rolls. Vice Provost for Inclusive Excellence Melissa Thomas-Hunt continues to spearhead other faculty and student inclusive excellence initiatives. Feedback is currently being solicited to inform the planning process for the provost’s initiative. Please directly submit ideas using this form. Comments may be shared anonymously. Guided by this input and in consultation with the Faculty Senate and the deans of the schools and colleges, this fall Wente will appoint a steering committee for the initiative. Similar to the Academic Strategic Plan development process, the committee will be charged with considering thematic areas for study and action. 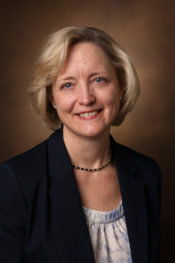 Those may include a separate confidential climate survey and assessments of our academic environments for women; a gender pay equity and academic support analysis; a gap analysis of faculty promotion and mentoring; investments in raising awareness through programming; interventional strategies to strengthen climate and culture; and changes to organizational structures that will help sustain progress on the status of women at Vanderbilt University. A subcommittee or working group will be assigned to each theme, reporting up to the steering committee.